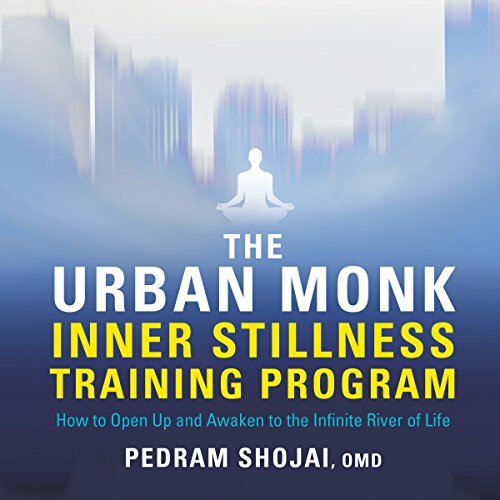 Pedram Shojai is best known as the Urban Monk, a dynamic teacher who's helped thousands of people create more time, energy, and passion with modern hacks for well-being. With The Urban Monk Inner Stillness Training Program, Shojai gives us a new, six-part Qi Gong series for complete transformation and internal alchemy. Never before shared in such a program, these teachings and practices come directly from Shojai's lineage as a former Taoist monk. Designed to be learned in progression and continued as a lifelong path, this program will reward the disciplined with health, clarity, and personal empowerment in every area of life. I so love this audiobook. it's an awesome tool. I listen to it very often. I recommend this book and his podcasts. I have been meditating for a couple of years now and practicing yoga for over 15 years. I thought I had a very good grasp on the mind-body connection and how to move energy in my body. Well, this book took that to en entirely new level. Dr Shojai does a phenomenal job of walking the reader through the step-by-step process of breathing and meditation techniques. I loved every minute of this book and I am now going to head over to his website to enroll in his online program! Thank you Dr. Shojai for your dedication.